I quickly realized that I could slip into automatic gear this time of year and begin to expect certain things – anticipate needs and priorities – and miss what God is doing THIS time. I felt the Lord’s caution and reminder to carefully LOOK and WATCH for what HE is doing in this season, rather than assuming. 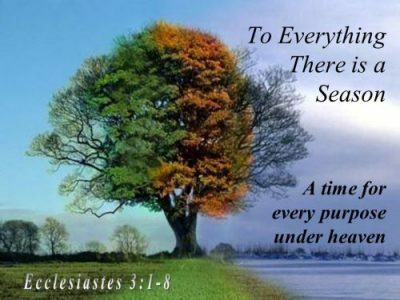 Just as our natural seasons seem to be ever-more unpredictable and uncertain, so are the spiritual seasons in our life. Just as farmers often rotate crops to keep out the pests, diseases, and weeds, so the Lord is doing something NEW IN THIS SEASON in order to produce the GREATER HARVEST that is to come. He may not do things the same way He did before, and He is asking us to look at the crop He is producing in this season so that we can be good stewards of the ground He is giving us. For many I believe this current season is about WATERING THE SEEDS OF RIGHTEOUSNESS that have been planted through our prayers. It is not the season of the Great Harvest – yet. Even as we are seeing some FIRST FRUITS of this harvest, the greatest is yet to come. Seeds have been planted, and now we must WATCH over that crop so that it can bear fruit in due season. There have been many faithful prayers lifted on behalf of this nation. Many have been declaring the righteousness of God and asking for a cleansing and purification of hearts in the government as well as in the Church. In order to see the harvest of righteousness that we long for, we must water those seeds through our own righteousness as individuals and families. Those seeds of prayer will not bear fruit if they are not watered with the righteousness that comes from daily obedience to God’s Word and ways. “Sow for yourselves righteousness; reap steadfast love; break up your fallow ground, for it is the time to seek the Lord, that HE may come and RAIN RIGHTEOUSNESS UPON YOU.” (Hosea 10:12 ESV). It is time to pull away from the politicized news cycles and worldly chatter. It is time to reassess our own schedules and routines so that we can better hear a first-hand report from heaven rather than a second-hand opinion through social media. It is time to invite the Lord to search our hearts and minds for anything that is unresolved or unhealthy. If we want to see the harvest come forth, we must watch carefully over the soil of our own hearts so those seeds of righteousness can take root and grow without hindrance. No one can force a harvest. God, alone, is the Lord of the harvest (Ps 145:15). Prayer alone will not bring it about without our obedience to water those seeds and watching over our lives. The harvest that is coming will require a price. It will cost us our personal ambition, our need for quick fixes, and our impatience. We must persevere in THIS season and be faithful to live lives that are worthy of His calling. There are individual seasons and collective seasons. Because we, as believers, are intertwined with each other, our faithfulness to our individual season will impact the collective. As each one does their part, it will strengthen the whole. The kind of love that is desperately needed within the body of Christ right now can ONLY come through the righteousness of God. There is no true MERCY without righteousness and there is no greater TRUTH than His love. The fullness of His promise can only come when all the parts come together. Even as many are preparing for family gatherings and conversations this season, we can use these opportunities to water the seeds that God has already planted within hearts. It may not be the time to seek a conversion or force a breakthrough. It may be as simple as loving well and demonstrating a life that embraces the righteousness of God with joy, vibrancy, and power. The harvest WILL come – in due season, if we don’t get weary, distracted, or give up. Praise Holy Father! This word (watering) is for me. Thank you and may the Lord bless you and your family! Dear Wanda, THIS is vital and essential for my life; and for each of us! Thank you for this devotional! it IS LIFE to me! Thank you Wanda for such a timely word. We just lost our daughter and it is easy to focus on our own pain and need rather than reaching out. God bless you.